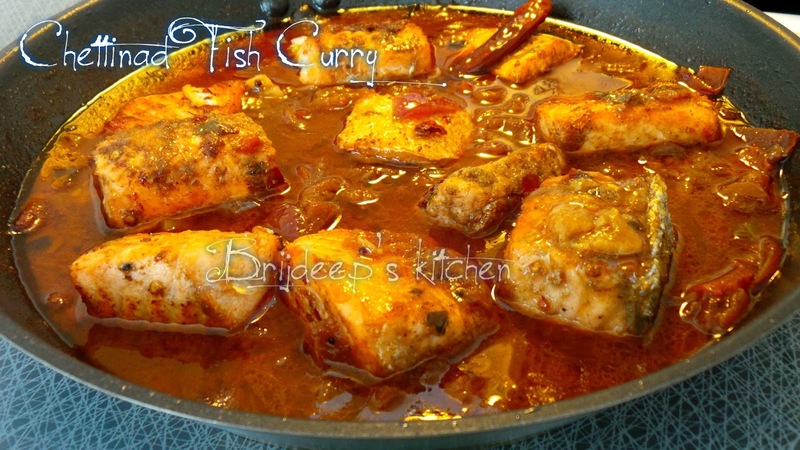 Hot and spicy curry with a beautiful fiery color, without the use of much spices and red chilis, this fish curry is a yummy and wonderful companion with boiled rice and makes for an awesome meal for those who love Indian style fish curries (and those who don't are sure to fall in love with this one)!! 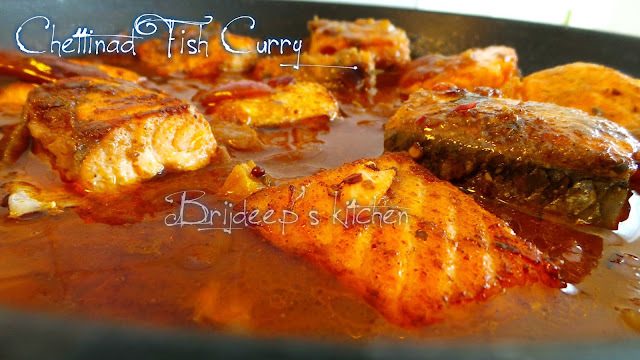 Clean and cut the fish into desired size and marinate it with fenugreek powder, half the curry leaves and lemon juice and leave for 30 minutes. Heat oil and fry the marinated fish from both sides until crispy and golden. Remove from the pan and keep aside. Heat up the same oil on medium flame and splutter mustard seeds and fennel seeds. Add the dried red chili. Add the chopped onions and fry until the onions are transparent. Add the crushed ginger-garlic and fry until the raw smell disappears. Add the chopped tomatoes and sprinkle salt. Cover and let cook until the tomatoes are soft and mushy. 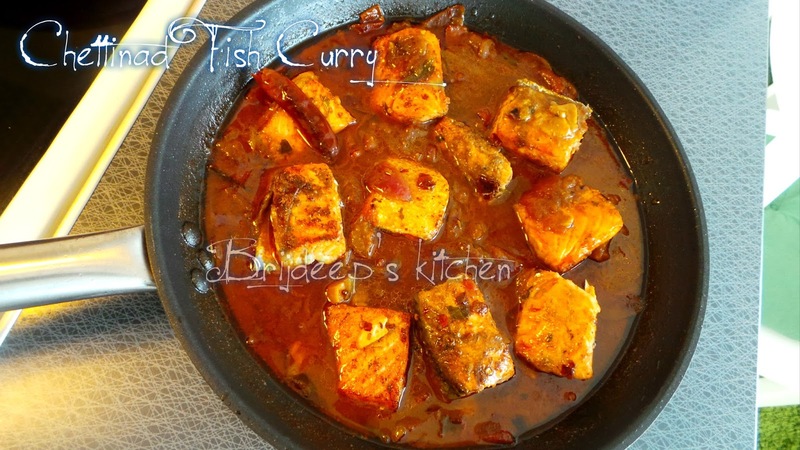 Remove cover and add the dry spices: red chili powder, turmeric powder and coriander powder. Mix well. Add the tamarind and mix well again. Add the coconut milk, mix everything well and cover again. Remove cover after 5 minutes and add 3 cups of water. Cover again and let simmer and boil for 10-12 minutes. Remove cover and let cook open for another 5 minutes. Give a good stir and add the fried fish. Turn off the flame and cover. Remove cover after 10 minutes and the yummy, spicy curry is ready to eat. 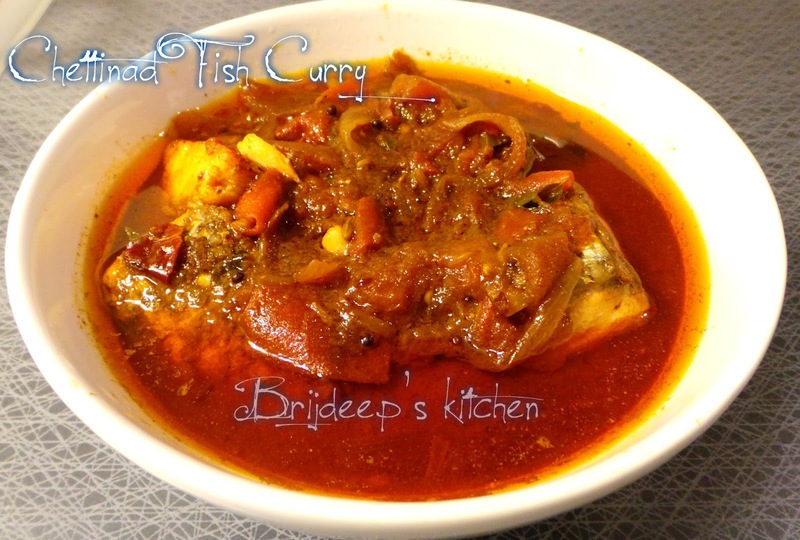 Serve with plain boiled rice or jeera rice. Loved this recipe? Please leave a comment/feedback in the comments section below. And don't forget to connect with me on Facebook if you're still not connected for more yummy updates.